1/1, May 16, 1868-April 3, 1869. $2.00 a year. 4 pp., 16 x 22. The journal listed Ira Davenport as "State Agent." Contributions by Hudson and Emma Tuttle. The journal tried to walk a fine line between freedom and licentiousness, both denying that free-love abuses occurred and claiming that all right-thinking spiritualists condemned them. 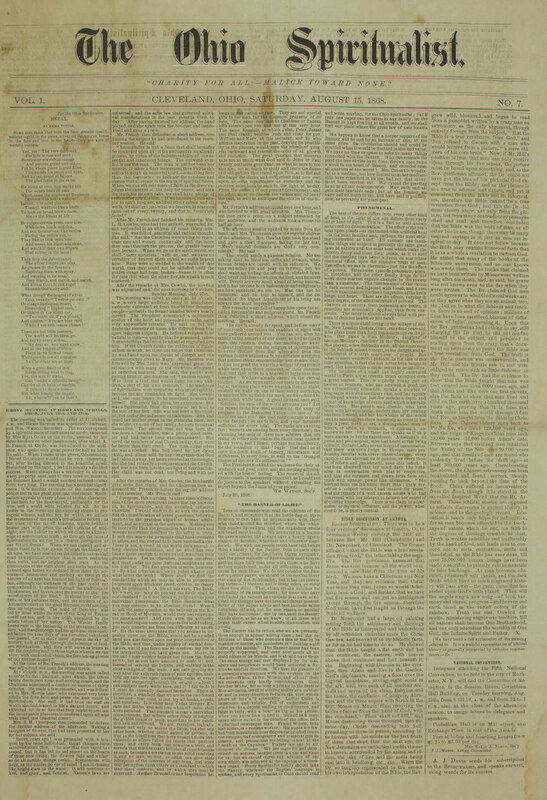 The final issue noted: "With issue of April 17, 1869, vol. 2, no. 1, becomes The American Spiritualist. NSAC Lily Dale; University of Rochester.